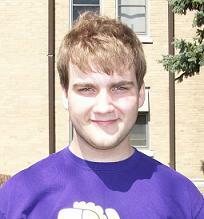 Samuel Wilhite is a Biological Sciences major in the College of Science at the University of Notre Dame. He is a student of Dr. Eric Lindland’s and is currently enrolled in Lindland's Honors Introduction to Anthropology class. He was introduced to the topic of human/drug coevolution when he was informed that Dr. Siegel believed that humans had a "fourth drive" to pursue mind altering substances. Through further research he found that there was evidence to suggest that humans had coevolved with psychotropic drugs. The possible connection between these two assertions was the inspiration for this site.